For some, this may seem better than the Wiley Deal in Germany: French universities and research institutions have agreed in principle, through their Couperin consortium, to renew their national licence with Elsevier. In a letter sent on April 11 to Elsevier by Lise Dumasy, president of Couperin, details of the agreement, which is valid for 4 years, effective as of January 1 this year, are revealed. With this agreement, French universities and research institutions will have access to the publisher’s “Freedom complete edition” journal bundle including e.g. The Lancet and Cell Press. However, the consortium does not guarantee to the publisher that all its members will adhere to the national licence. Most surprising: This agreement provides for a gradual 13.3% reduction in license costs over 4 years -5% in 2019, -4% in 2020, -3% in 2021 and -2% in 2022, in total -13.305% over four years. There is 25% discount on article processing charges (APC). There will also be a compensatory clause if these APCs increase by more than 3.5%. Excluded from this discount are – as I understand it – only the society journals, e.g. The Lancet and the Cell Press titles. Included are all Open Access journals and hybrid journals. The 3.5% threshold refers to annual price increases. Regarding Green Open Access the agreement allows automatic access 12 months after formal publication to the “accepted author manuscript” (AAM) or post print directly on Elsevier’s service Sciencedirect. After 24 months the pdf file of this manuscript will be deposited on the HAL platform (the CNRS Open Access Repository). The license to make AAMs available is more restrictive than most Creative Commons licenses. It allows reading, downloading, printing, translating, text & data mining but does not allow redistribution or re-use (neither commercial or non-commercial). Finally, the agreement includes the progressive deposit (from 2020 to 2022) of articles published between 2002 and 2012, which will make it possible to apply text & data mining. Here you can read the letter sent by the president of the Couperin consortium to Elsevier. I would also like to draw your attention to Martin Clavey’s posting that I have mainly reported here. Information about the Wiley DEAL mentioned at the introduction can be found in Marcel Knöchelmann’s posting on Le Publikateur. On 24.04.2019 I will hold a workshop on Scientific Publishing in Economics and Business Administration at the faculty of Economics and Business Administration of the Humboldt University of Berlin. The aim of the workshop is to inform scientists about the functions, contextual conditions (e.g. quality control, selection criteria, perceived quality of a journal/publisher) and parameters (e.g. recommended document types, dissemination in closed access or open access, impact) of scientific publishing. Participants should be enabled to develop informed publication strategies and make career-promoting publication decisions, taking into account context variables and parameters. Further information can be found on the Humboldt University’s web site. just in time for Easter scinoptica science consulting changes its name to scidecode science consulting & research. The relocation of the web presence worked and all scinoptica URLs (especially the postings) are forwarding to scidecode.com. The scinoptica twitter account remains active and will spread my more personal view while the new (and yet inactive) scidecode account will inform more about scidecode projects, publications and activities. However, the RSS feed remains available at http://feeds.feedburner.com/scinopticablog. This information is accompanied by the announcement of a survey on “Monetary and non-monetary income for scientists from scientific publications”. Background: In fact, apart from e.g. law, publishers generally do not pay honoraria to authors of scientific publications, but editors are more likely to receive compensation – be it in the form of monetary payments or vouchers, e.g. for subscriptions. Reviewers in some cases also receive compensation, e.g. an APC voucher as a payoff for a review. Exactly these compensations will be the focus of the survey. I am planning the survey for late summer and will ask the community for some feedback on my drafts. As Lars Holm Nielsen reported a few days ago, the Open Access server Zenodo now provides impact information in the form of software citations. This new feature is an outcome of the Asclepias project, funded by the Alfred P. Sloan Foundation, and involving the American Astronomical Society, NASA ADS bibliographic index and the Zenodo repository. The NASA ADS now indexes Software Citations on items listed in DataCite, e.g. software published on Zenodo. Using a citation brokering software developed in the project mentioned above, Zenodo receives information about citations on published code from ADS and other sources and displays these impact metrics at the level of individual records. Read more in the Zenodo blog. Yesterday, the National Contact Point Open Access (Germany) sent a mail to several mailing lists in which it pointed to a list of highly cited Open Access journals. According to the mail, this list could be helpful in motivating scientists to publish in Open Access journals [translated by the author of this posting]: “From now on, an overview is available under the resources category with approx. 700 highly cited Open Access journals from all scientific disciplines. The aim of this overview is to make established and relevant Open Access journals visible to researchers and to increase their findability. In this way we are helping researchers to identify suitable and influential Open Access journals from their discipline to submit their manuscripts.” The list relies on the journal metric Source Normalized Impact per Paper (SNIP) (based on Elsevier’s database Scopus), which differs from the Journal Impact Factor (JIF) mainly by considering average citation rates of the discipline when calculating the impact (or SNIP score) of a specific journal. ask FQS-related authors to place their publications strategically, namely in journals that are already indexed in these databases, and to cite FQS-articles. Unfortunately, I agree with her. Arguments used to promote Open Access are sometimes (or even often) ambivalent. For example, the impact argument, according to which Open Access boosts impact and which, reciprocally, is intended to strengthen support for Open Access. On the one hand, everyone complains about impact measures; on the other hand, scientists are lured with them. Yes, I know that SNIP has advantages over the JIF, but it (just like any other metric, especially the Altmetrics which are not better than citation measures) cannot extrapolate quality from quantity – especially since the quantity found is the result of multiple selections. I have the same problem with the argument that Open Access fosters economy – if we follow this argument, then it is not a big step to assess a publication’s quality by its economic value – and then journals like FQS are worse off than STM journals and may easily be considered worthless. But quality has nothing to do with SNIP, JIF or return of investment. 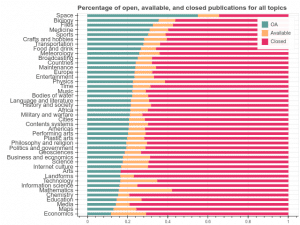 The argument that Open Access really has advantages immanent to science (acceleration of science, transparency, dissemination and participation, science as a public good) is, at least in my opinion, becoming more and more marginalized. There may also be reasons for this, because large-scale attempts to promote Open Access often come from institutions, e.g. the European Union (I recommend in this context this publication by Jutta Haider), that are concerned with impact and economic exploitability, not least to document the economically efficient use of public funds. And I have to admit this, too: These institutions may really have the power to promote Open Access (albeit possibly under conditions that I don’t like in the end), but unfortunately their commitment to Open Access couldn’t be stimulated with the above-mentioned scientific-immanent arguments, but only in the impact-economy-framework. What remains? Perhaps that good Open Access journals, which have no measurable citation impact (as questionable as it may be) and no economic exploitability, have wrongly little significance in the alleged qualitative evaluation outside their community – and which for this reason are not recommended to scientists as a venue for publication. In case of doubt, does an Open Access Journal therefore have to decide against a format acknowledged in its community and adapt it to the market mechanisms of scientific publishing and the economic area if it wants to be assigned characteristics such as “quality, visibility, and relevance“? On August 17, it was announced that the collaborative writing tool Authorea had been acquired by Atypon that is in turn a part of Wiley Publishing. The posting in the Authorea blog informs that “Atypon has been actively building an open science ecosystem to streamline researchers’ workflows in reference management, knowledge discovery and content creation”. In fact, the acquisition of Authorea and the focus of Atypon indicate that Wiley (after Springer Nature and especially Elsevier had succeeded in doing so some time ago) now also wants to change from a pure publisher to a service provider for scientists. Nevertheless, in my opinion, Wiley’s portfolio still lacks the Research Intelligence Service components that Elsevier, Spinger Nature, Digital Science/ Holtzbrinck and Clarivate Analytics are increasingly offering. Indeed Authorea is part of a long list of open or at least free services that although committed to promoting Open Access, are then bought up by commercial players. On this list you will find among other products the Social Science Research Network (SSRN), publons, bepress, Kopernio, Mendeley and GitHub. The question is which will be the next purchase of an Open Science service by a commercial actor. Maybe, as Leonid Schneider once imagined, F1000research? Or impactstory? Taken from: https://wikimediafoundation.org/2018/08/20/how-many-wikipedia-references-are-available-to-read/, available under a Creative Commons Attribution-ShareAlike 4.0 International license. Creators: Miriam Redi, Dario Taraborelli and Jake Orlowitz. However, the authors do not address an interesting question: How could the proportion of references in Wikipedia that are accessible free of charge be increased if more green Open Access versions were linked? Zwangsehen und Bastarde. Wohin steuert Big Data die Wissenschaft? Taucht das Wort „Wissenschaft“ im Zusammenhang mit Big Data auf, denkt man zumeist an Wissenschaftler, die durch findige Analysen treffsichere Prognosen über zukünftige Entwicklungen, Ereignisse und Handlungen fällen – oder aber mit chirurgischer Präzision Verhalten beeinflussen, wie etwa vom erfolgreichen Wahlkampf Donald Trumps kolportiert. Allerdings sind Wissenschaftler längst nicht mehr nur Agenten in Big-Data-Szenarien, sondern auch Objekte. Die Vermessung der Wissenschaft erfolgt heute nicht allein anhand simpler Zitationszählungen oder erwirtschafteter Projektgelder: Kommerzielle Akteure schicken sich an, ein ganzes Betriebssystem inklusive integrierter Werkzeuge zu schaffen, das unablässig Verhalten von Wissenschaftlern und Performanz von Wissenschaft protokolliert. Der Beitrag illustriert am Wandel des früheren Verlagshauses Elsevier zum Research Intelligence Provider exemplarisch, wie Wissenschaft selbst in den Fokus von Big Data gerät und wie eine Big-Data-gesteuerte Wissenschaft aussehen könnte. Die Protokollierung der (digitalen) Spuren, die Personen oder Werke/ Informationen, die von ihnen geschaffen wurden, hinterlassen. Die Protokollierung der Referenzen/ Reaktionen auf diese Personen bzw. deren Werke/ Informationen. Dass Wissenschaftler durch Event Logging bewertet werden, ist nichts Neues: Schon immer zog man bibliometrische Informationen heran, wenn es um die Einschätzung der Leistung eines Wissenschaftlers ging. Sei es, dass diese durch eigenes Verhalten (im Sinne von a) produziert wurden (z. B. wenn die Zahl der Publikationen erhoben wurde), sei es, dass diese durch reaktives Verhalten anderer (b) produziert wurden (z. B. durch Zitationen auf Publikationen). Daher sind die im Folgenden dargestellten Neigungen zur Steuerung von Wissenschaft nichts völlig Unbekanntes, neu hingegen sind die Möglichkeiten, Informationen zu produzierten und genutzten Informationen über eine Vielzahl von Datentypen und -quellen zu sammeln und zu kombinieren, so dass produzierte Texte eine nur noch untergeordnete Rolle spielen. Zur Illustration dieses Wandels bietet sich die Beschreibung der Metamorphose des Verlags Elsevier zum Research Intelligence Dienstleister (Elsevier, 2018e) an, spiegelt dessen strategische Umgestaltung die neuen Möglichkeiten der Protokollierung und Steuerung von Wissenschaft doch nahezu idealtypisch wider. Der Informationsanbieter Elsevier wurde im Jahr 1880 als Verlag gegründet, das Geschäftsmodell bestand im Verkauf und Vertrieb wissenschaftlicher Publikationen. Im Februar 2018 legt man 2.971 wissenschaftliche Zeitschriften auf. Laut Outsell Report war Elsevier 2013/2014 mit 2.525 Journalen der Verlag, der nach Springer (inkl. BioMed Central, BMC) die zweitmeisten Zeitschriften publizierte (Outsell, 2015, S. 16), Springer und BMC kamen zusammen auf 2.984 Journale. Spätestens seit 2004 ist Elsevier nicht mehr nur ein Verlag, denn in diesem Jahr brachte man die Datenbank Scopus auf den Markt. Scopus ist eine Recherche- und Zitationsdatenbank und folglich ist für Herausgeber und Verlage eine Indexierung ihrer Journale in Scopus attraktiv: Allein schon die Aufnahme einer Zeitschrift in eine Recherche-Datenbank wird als Gütekriterium wahrgenommen. Dies gilt noch viel mehr, wenn diese Datenbank Auskunft über den Impact, die meist – und umstrittener Weise – als Qualität interpretierte quantitative und durch Zitationszählungen ermittelte Resonanz einer Publikation gibt. Aus der Perspektive des Scopus-Anbieters bedeutet dies, dass fremde Verlage ihm Content geradezu zur Auswertung aufdrängen und Elsevier selbst Daten über das Geflecht wissenschaftlicher Informationen nicht nur als Zitationsdatenbank teuer verkaufen, sondern auch für eigene Zwecke auswerten kann. Mit Scopus erschuf Elsevier, neben der eigenen Verlagsdatenbank ScienceDirect, einen zweiten Datenpool, gefüllt mit Informationen fremder Anbieter, gespickt mit Daten über die Kommunikation in wissenschaftlichen Journalen und mit Meta-Informationen dazu wer (als Person oder Organisation) wieviel, mit wem, worüber publiziert und wer wie häufig von wem zitiert wird. 2009 schuf Elsevier mit SciVal ein weiteres, ganz neuartiges Angebot, das weder der Recherche nach Publikationen noch nach Zitationszahlen dient, sondern vielmehr dem Benchmarking von Wissenschaftseinrichtungen. Wir werden später auf diesen Dienst zurückkommen. Die Entwicklung weg vom traditionellen Verlagsgeschäft wurde immer offensichtlicher als man 2012 den Anbieter Atira und dessen Forschungsinformationssystem PURE erwarb. Forschungsinformationssysteme dienen nach außen der Darstellung der Leistungsfähigkeit einer Einrichtung, intern zu Benchmarking und Protokollierung der Forschungsleistung dieser. Unter anderem werden solche Systeme üblicher Weise mit Projektdaten, Finanzdaten, Publikationsinformation und Impactziffern gespeist. 2013 hielt die Shopping Tour Elseviers weiter an und man erwarb die Literaturverwaltung Mendeley. Mendeley dient, vergleichbar den Tools Endnote, Zotero, Citavi, Refworks, der Verwaltung wissenschaftlicher Literatur und hat darüber hinaus eine Social-Network-Komponente zur Kontaktpflege mit Fachkollegen. Literaturverwaltungswerkzeuge erleichtern die Textproduktion und erlauben das bequeme Einfügen von Referenzen in Publikationen. Ob Mendeley dem wirtschaftlich gut aufgestellten Anbieter Elsevier wirklich nennenswerte Einnahmen beschert, mag fraglich erscheinen: Die kostenfreie Endnutzer-Version bietet kaum beachtenswerte Unterschiede zur kostenpflichtigen Variante und auch die Campus-Lizenzen dürften finanziell nicht sonderlich ins Gewicht fallen. Interessanter könnte Mendeley als Datenquelle sein, denn daraus lassen sich Informationen über die Relevanz publizierter Texte gewinnen, die noch zu jung sind, als dass sie hätten zitiert werden können. Weiterhin lässt sich die Relevanz von Texten erfassen, die zwar von großem Interesse zu sein scheinen, da viele Wissenschaftler sie sich in Mendeley merken, die jedoch nicht oder selten zitiert werden (z. B. weil sie eher für die Lehre oder Methodik als die Forschung relevant sind) oder deren Zitationen von klassischen Zitationsdatenbanken nicht erfasst werden, weil die zitierenden Quellen nicht von diesen indexiert sind. Die Möglichkeit, Dokumente in Mendeley als Favorit zu markieren, ermöglicht sogar eine noch exaktere Bewertung deren Inhalts. 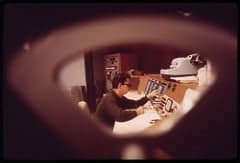 Besser noch: Es ließen sich gar Informationen über zukünftige Forschung gewinnen, man müsste dazu nur auslesen, welche Themen in den Bibliotheken der Literaturverwaltungsnutzer gerade Konjunktur haben. Da Mendeley Nutzern auch Online-Profile bietet, sind diese geneigt hier akademischen Status (z. B. Student, Promovierender, Post Doc, Professor), Affiliation und fachliche Zuordnung zu hinterlegen, was noch treffsichere Einschätzungen zu thematischen Moden ermöglicht. Noch feinere Daten fallen an, wenn Mendeley-Nutzer ihren Account mit ihrer Autoren-ID in Scopus verknüpfen. PURE, für das ein Media Showcase mit Live-Feeds existiert, um aggregierte Daten der Presseberichterstattung über Forscher einer Institution zu erhalten und anzuzeigen. 2015 führte Elsevier schließlich den Forschungsdaten-Dienst Mendeley Data ein. Mendeley Data stellt kostenlosen Speicherplatz zum Ablegen von Forschungsdaten bereit. Naheliegender Weise nutzen manche Elsevier-Journale oder von Elsevier aufgelegte Society Journals (z. B. CELL Press) Mendeley Data, um Artikeln zugrundeliegende Forschungsdaten verfügbar zu machen. Solche mit Publikationen verbundene Datensätze werden auch in ScienceDirect mit dem entsprechenden Artikel nachgewiesen und verlinkt. 2016 erstand Elsevier den Open-Access-Dienst Social Science Research Network (SSRN), eine Publikationsplattform für die Sozial- und Geisteswissenschaften, auf der vor allem Preprints und Discussion Papers erscheinen. Der Clou: Man hielt eine Technik in den Händen, die sich auf andere Fachbereiche ausrollen lassen sollte (und die sich perspektivisch als Plattform vermarkten lassen konnte) und hatte Zugriff auf Informationen aus noch nicht formal publizierter Forschung, die also z. B. noch nicht in Scopus oder Mendeley hinterlegt war. Noch weniger als bei Mendeley dürften direkt an SSRN gebundene finanzielle Erwartungen für dessen Kauf gesprochen haben, denn das Publizieren auf SSRN ist nach wie vor entgeltfrei möglich. Das Ausrollen der SSRN-Technik ließ auch nicht lange auf sich warten, noch 2016 startete Elsevier zwei Publikationsdienste für Working Papers aus den Naturwissenschaften, ChemRN und BioRN. Ebenfalls 2016 erwarb man einen Dienst, der in erster Linie Natur- und Lebenswissenschaftlern nützlich ist: Hivebench. Die Software erlaubt die Verwaltung von Experimenten, Protokollen, Analysen und Daten. Man wirbt mit den Möglichkeiten der umfassenden, konsistenten und strukturierten Datenerfassung mittels Hivebench, das eine einfache und sichere Möglichkeit zur Verwaltung und Aufbewahrung von Protokollen und Forschungsdaten biete (Elsevier, 2018b). Als Anreiz zur Nutzung von Hivebench in Kombination mit anderen Elsevier-Diensten sprechen Komfort und einfache Datenhaltung, exemplarisch werden auf der Website die Integration von Hivebench und Mendeley Data empfohlen, u. a. zur Sicherung der Langzeitarchivierung von Forschungsdaten. Ebenfalls regt man 2018 die integrierte Nutzung von Hivebench und einem institutionellen Open Access Repository an (Elsevier, 2018b). Eine 2016 im Elsevier-Portfolio noch klaffende Lücke, die zu schließen man sich bereits anschickte. 2017 bediente sich Elsevier nochmals im Open-Access-Segment und übernahm den Repository-Anbieter Bepress. Anders als SSRN, BioRN oder ChemRN, die zentrale fachliche Publikationsserver sind und nicht als Hosting-Lösungen angeboten werden, ist Bepress eine Software, die Forschungseinrichtungen selbst betreiben, um Wissenschaftlern eine Plattform zur Open-Access-Publikation zu bieten. Elsevier (2017a) bewirbt Bepress mit den bekannten Lockmitteln Showcase und Impact: „Campuses can promote faculty and their expertise with scholarly profiles and expert galleries. And administrators can use industry-leading readership analytics to track impact and share it with stakeholders.“ Die Pressemitteilung Elseviers (2017b) anlässlich des Erwerbs von Bepress zitiert Bepress CEO Jean-Gabriel Bankier mit den Worten „Now with Elsevier we’ll be stronger and better by applying more technologies and data and analytics capabilities to help more institutions achieve their research goals.” Ein Kommentar, der vermitteln soll, wie unerlässlich Datenanalysen für eine Wissenschaftseinrichtung sind, die nicht scheitern, sondern ihre Ziele erreichen will. Und auch das Datenvolumen, die Ressource für weitere, noch bessere Analysen, auf die Elsevier nun zugreifen konnte, wird mit „over 2 million articles and 100 million annual downloads” beziffert (Elsevier, 2017b). Im Februar 2017 akquirierte Elsevier schließlich den Altmetrics-Anbieter PLUM Analytics, dessen Service PLUM X, wie andere Altmetrics-Dienste auch, Impact wissenschaftlicher Objekte zu erfassen sucht, der sich nicht (nur) in Zitationen manifestiert, sondern z. B. in der Anzahl der Tweets, der Likes, des Vorkommens in Mendeley-Bibliotheken. PLUM X unterscheidet sich von vergleichbaren Angeboten wie Impactstory oder Altmetrics.com durch den offenkundig kompetitiven Anspruch und seine Benchmarking-Funktionalitäten (Herb, 2016, S. 398) und bringt eine Fülle an Informationen über die Verbreitung wissenschaftlicher Objekte in Social Media, Nachrichten, Literaturverwaltungssystemen und einer Vielzahl anderer Kommunikationskanäle wissenschaftlicher wie nicht-wissenschaftlicher Natur mit sich. Die Liste der Objektarten (oder in der PLUM-Terminologie: Artefakte), die PLUM X trackt (1) , umfasst derzeit 67 Typen, unter anderem auch Audio-Dateien, Blogs, Broschüren, Software Code, Datensätze, Designs, Expertenmeinungen, Regierungsdokumente (2) (PLUM Analytics, 2018). Allein diese, nicht abschließende Liste der Angebote Elseviers (3) zeigt: Elsevier hat ein Betriebssystem mit hoch-integrierten Diensten erschaffen, das ein Wissenschaftler in jeder Arbeitsphase nutzen kann. Man tauscht sich mit seinen Kontakten in Mendeley aus, dort sammelt und verwaltet man zugleich seine Literatur. Preprints oder andere Dokumente stellt man in SSRN-ähnliche Repositories ein, die (wie bei SSRN teils der Fall) mit einschlägigen Journalen gekoppelt sind (4 ), oder auf einen lokalen Bepress-Server. Artikel erscheinen in Elsevier-Journalen, die in ScienceDirect nachgewiesen werden und deren Zitationen in Scopus erfasst sind. Wird eine wissenschaftliche Leistung dann bewertet, gehen darin Informationen aus Scopus und PLUM X ein. Sogar Herausgeber eines nicht bei Elsevier erscheinenden Journals bemühen sich darum, dass dieses in Scopus indexiert oder via PLUM X ausgewertet wird. Forschungsdaten verwaltet man mit Hivebench und publiziert sie mit Mendeley Data, ihr Impact wird mittels PLUM X erfasst. Literatur, Forschungsdaten und Forschungsinformationen verwalten, teilen, publizieren, indexieren, analysieren, bewerten und jede dieser Tätigkeiten verkaufen – das alles bietet Elsevier. Die Resonanz und Bewertung der Forschung innerhalb der Wissenschaft messen Scopus und PLUM X, außerhalb der Wissenschaft erledigt dies Newsflo. Allerdings, man ahnt es, muss man das System nicht nur nicht verlassen, man kann es nicht umgehen und seine Apps nicht ignorieren. vermeintlicher Qualitätsindikator) für seine Publikationen ermittelt wird und die Datenbank einen Hirsch-Index für ihn ermitteln kann. Und sowieso: Sind die Publikationen erst einmal in der Welt, werden sie in einem der Elsevier-Dienste früher oder später wie von selbst Spuren hinterlassen: Etwa, wenn Leser sie in ihre Mendeley-Bibliotheken speichern oder sie in einer der vielen Datenquellen des Altmetrics-Dienstes PLUM X erwähnen. Und wer sich als Wissenschaftler ehedem gegen die Nutzung der Literaturverwaltung Endnote entschloss, weil er seine Daten partout nicht dem Elsevier-Konkurrenten und Endnote-Anbieter Thomson Scientific anvertrauen wollte (5) , sondern sich für Mendeley entschied, musste sich (wie der Autor dieses Artikels) eingestehen, dass alle gutgemeinten Überlegungen und die Nutzung innovativer Software kleiner Anbieter angesichts Elseviers geschickter Akquise-Strategie irgendwann obsolet sind. Derartiger Fatalismus dürfte sich genauso unter Hochschulen verbreitet haben, die sich aus ähnlichem Dafürhalten gegen die Nutzung des Forschungsinformationssystems CONVERIS, ebenfalls eines Produktes von Thomson Scientific (6) , aussprachen und lieber auf das später von Elsevier gekaufte System PURE setzten. Schlimmer noch dürfte es die Open-Access-Community getroffen haben, die den Dienst SSRN und zahlreiche Bepress-Server bewarb und aktiv nutzte, um den nicht-kommerziellen Zugang zu wissenschaftlichen Informationen zu fördern – nur um eines Tages verdutzt festzustellen, dass man jahrelang sehr eifrig Content-Akquise für Elsevier betrieben hatte (7). Man darf jedoch keinesfalls vergessen, was geschieht, wenn die Kapitalrendite aus den bereitgestellten Diensten hinter den Erwartungen der kommerziellen Anbieter zurückbleibt: Elsevier etwa stellte seine als „most comprehensive scientific research tool on the web“ (Elsevier, 2013) angepriesene Suchmaschine Scirus 2014 klammheimlich ein (8). Dies verweist auf ein leider wenig diskutiertes Problem, das an dieser Stelle nur kurz angesprochen sei: Die Ökonomisierung der Wissenschaft hat längst die Kuratierung wissenschaftlicher Informationen erreicht (Haider, 2018, S. 25 f.). So nennt der Report „Open innovation, open science, open to the world – a vision for Europe“ der European Commission (2016, S. 50) Elsevier, Springer Nature und dessen Tochter Digital Science, Google und Wikimedia als Verwalter wissenschaftlicher Informationen. Eine Vorstellung, die angesichts der Scirus-Malaise als riskant betrachtet werden könnte. Auch die Weiterentwicklung SciVals wird skizziert (Elsevier, 2018g): „We are expanding SciVal from being a purely evaluative and analytical tool to being an integral part of your research planning process”. SciVal soll, das belegt dieses Statement (genau wie die obige Liste seiner Features,) eine Planungsinstanz mit Eigenschaften der Predicitve Analysis sein: „You are now able to run a complete portfolio analysis to see which Topics your institution is currently active in, and which Topics have high momentum, those therefore more likely to be well-funded. It will provide insight into which researchers are active in those Topics, which Topics your peers and competitors are active in and the related Topics of which you should be aware.” (Elsevier, 2018g). Ein Angebot wie SciVal kann als Werkzeug verstanden werden, das, in Zeiten knapper Mittel und der Vorstellung von Hochschulen als Unternehmen, Mittel und Personal ökonomisch einzusetzen hilft. Diese Ökonomisierung ist hinreichender Kritik, die hier nicht rekapituliert werden soll, ausgesetzt. Dass Elsevier diese Randbedingungen nutzt, um Angebote zu entwickeln, zu kaufen und zu vermarkten, ist nicht zu kritisieren, denn die RELX-Gruppe als Mutterkonzern Elseviers muss als Wirtschaftsunternehmen das erklärte Ziel haben, möglichst viel Geld zu verdienen (9). Auch die Nutzung der bereitstehenden Daten zum Monitoring und zur Steuerung von Wissenschaft ist kein Alleinstellungsmerkmal Elseviers, denn etwas später verfiel beispielsweise auch Springer Nature auf die Idee, ähnliche Dienstleistungen anzubieten. Springer Nature kennt mit dem SciGraph ein Angebot, das SciVal ähnelt. Man beschreibt SciGraph als: „…our Linked Open Data offering which aggregates data sources from Springer Nature and key partners from the scholarly domain. The Linked Open Data platform collates information from across the research landscape, for example funders, research projects, conferences, affiliations and publications“(Springer Nature, 2018). Auch SciGraph wird mit dirigistischen Funktionalitäten beworben: „Funders, librarians, conference organizers find optimal data for analysis and recommendation tools” (Springer Nature, 2018). Zwar stehen die SciGraph-Daten unter der Creative-Commons-Lizenz CC-BY und als Linked Open Data bereit, die faktische Verwendbarkeit dieser RDF-Daten jedoch erfordert Einiges an Know-how, so dass die Hoheit über die Auswertung weitgehend bei Springer Nature liegen dürfte. Zugleich könnte unter dem Vorzeichen einer derart liberalen Lizenzierung die Open Science Community sogar gegebenenfalls als Beiträger für den Daten-Corpus gewonnen werden. Die Entwicklung von kostenpflichtigen Mehrwertdiensten, wie bei SciVal, wird – so viel kann man vermuten – erst durch die Anreicherung mit nicht-offenen Daten attraktiv. Gleichviel: Es bleibt festzuhalten, dass weder Elsevier noch Springer Nature dafür verurteilt werden können, Geld mit Diensten zu verdienen, nach denen der „Mode 2“ der Hochschulentwicklung giert: Man bedient einen Markt. Was jedoch einer Reflektion bedarf, sind die Folgen dieser Art der datengetriebenen Organisation von Wissenschaft. Die aus Big-Data-Analysen gewonnen Schlüsse und Empfehlungen haben, genauer betrachtet, beachtenswerte Implikationen und zwar gleichermaßen innerhalb wie außerhalb der Wissenschaft (Bendel, 2018): So ergeben sich, in einem System wie dem geschilderten, umfassende Fragen nach Datenschutz und Persönlichkeitsrechten. Die heute mögliche, in unvorhersehbarer Weise exakte Identifikation (10) eines einzelnen Wissenschaftlers in all seinen beruflichen Schattierungen und Aktivitäten erlauben zudem eine umfassende Kontrolle, ein unaufhörliches Benchmarking und ein anhaltendes Bewerten der Forschung z. B. hinsichtlich der Berücksichtigung ihrer Anschlussfähigkeit an die (internationalen) Trends. Dies wiederum dürfte zahlreiche Reaktanzen auslösen, so eine aus Befürchtung vor negativer Sanktionierung erfolgende Wahl von Forschungsthemen, Kooperations- und Projektpartnern oder Ko-Autoren und damit zur „digitale[r] Bevormundung“ sowie zur Aufgabe „informationelle[r] Autonomie“ (Bendel, 2018) führen. Wohin aber könnte uns eine derart auf daten-basierten Empfehlungen beruhende Wissenschaftssteuerung führen? Es drängen sich zwei Metaphern auf, um solche Szenarien zu beschreiben. Eine betriebswirtschaftliche Metapher, durchsetzt mit dem Jargon der Kalkulation und Effizienz, in Gestalt berechneter Kooperationen mit prognostizierten Drittmittel-Einnahmen und empfohlenen Partnerschaften mit erwirtschafteten Renditen in Form von Impact-Raten sowie Exzellenz-Attributen. Ein Szenario, das neben den Gewinnern selbstredend Verlierer braucht, weswegen das Moment des Wettbewerbs nicht fehlen darf: „Showcasing research is critical as competition increases among institutions to secure funding and attract faculty and students“ verlautbarte Elsevier anlässlich der Bepress-Akquise (Elsevier, 2017b). Der Nutzen des Dienstes PLUM X wurde (vor dem Kauf durch Elsevier) folgerichtig mit Worten, die weniger an Wissenschaft als öffentliches Gut gemahnen, sondern an Wissenschaft als darwinistischen Überlebenskampf, geschildert: „Arm your researchers to compete for funding“ hieß es 2016 (nach Herb, 2016, S. 398). Auch 2018 wohnt der Verkaufsargumentation eine militärische Konnotation inne, denn Festlegungen müssen strategisch sein: „….we will show you how to get the most out of Topic Prominence in Science and utilize it in the development and execution of your research strategy“ (Elsevier, 2018g). Andere Ausführungen auf der früheren PLUM X Website, „Determine who should apply for grants“ und „Find collaboration partners“ (Plum Analytics, 2016), verwiesen auf die zweite Metapher, die biologische der Auswahl und Zucht. Diese findet sich, wie erwähnt, auch in den werbenden Beschreibungen zu SciVal (Elsevier, 2018f), wenn es heißt: “Identify and analyze (…) potential collaboration opportunities based on publication output and citation impact” bzw. “Test scenarios by modeling (…) groups of researchers to apply for a large-scale grant program” (11). Bestimmte Entscheidungen, z. B. welcher Forscher sich in Kooperation mit andern Forschern um Drittmittel einer Förderorganisation bemüht, sollen nicht mehr so ohne Weiteres alleine dem Forscher selbst überlassen sein, sondern mit Hilfe der Daten eines Research Intelligence Anbieters getroffen werden. Ähnlich sollen Kooperationen nicht mehr basierend auf Einschätzungen und Expertisen der Wissenschaftler zustande kommen, sondern gezielt nach Effektivitäts – und Rentabilitätskriterien ausgerichtet werden. Eine Vorstellung, die (bislang?) eher an Zuchtprogramme („Determine who should apply for grants“ / „modeling (…) groups (…) to apply for a large-scale grant program“) oder Zwangsehen („Find collaboration partners“ / „Identify (…) potential collaboration opportunities“), denn an freie Wissenschaft denken lässt. Wer diese Assoziationen weitertreibt, gelangt unweigerlich und sehr schnell zu sehr skurrilen bis unschönen Vorstellungen von Designer-Babys, Inzucht, Degeneration und Sterilität bis hin zu nicht von Wissenschaftspartnervermittlungen (12) bewilligten wilden Ehen zwischen Forscherteams, die man mag es kaum schreiben, Projektbastarde hervorbringen. So deftig, so düster: Denn eine Wissenschaft deren Protokollierung und Steuerung sich immer weiter vorantreiben und deren Entwicklung durch herbeikalkulierte Kooperationen und Selektionen immer geplanter wird, perfektioniert sich am Ende womöglich zu Tode. Schließlich lehrt uns die Evolution, dass jeder Verbesserung und jedem Selektionsvorteil eine Abweichung vom genetischen Plan, eine Mutation, ein Regelbruch, kurzum: ein Fehler vorhergehen muss. Allesamt Phänomene, die eine ausgefeilte Research Intelligence zu eliminieren verspricht. (1) Tracken kann hier bedeuten, dass a) für diese Objekte (z. B. Code) Impact-Werte ermittelt werden, dass b) für diese und aus diesen Objekten (z. B. Artikel) Impact-Werte ermittelt werden oder dass c) aus diesen Objekten (z. B. Nachrichtenmeldungen) Impact-Werte ermittelt werden. (2) Hier zeigt sich ein spezieller Wert für Thinktanks. (3) Eine umfassende, wenn auch nicht vollständige Liste findet sich unter: https://www.elsevier.com/solutions [27.2.2018]. Unter anderem fehlt an dieser Stelle PLUM X. (4) Hier, wie auch anderen Stellen böten sich förmlich strategische Auswertungen an, von denen man nicht in jedem Fall sicher sagen kann, dass sie angewandt werden: Erreichen die Preprints hohe Downloadzahlen oder Altmetrics-Werte, könnten diese für ein einschlägiges Journal vorgeschlagen werden. Schließlich deuten hohe Download- und Altmetrics-Werte oft auf hohe Zitationszahlen hin (Herb, 2015, S. 207–223). (5) Endote wird heute von Clarivate Analytics angeboten. (6) CONVERIS wird heute von Clarivate Analytics angeboten. (7) Auch hier war der Autor dieses Textes betroffen, der zwar Unterzeichner des Elsevier-Boykotts The Cost of Knowledge ist, von dem allerdings dennoch ein Preprint auf SSRN zu finden ist, wenn auch publiziert vor dem Kauf durch Elsevier. (8) Mein ausdrücklicher Dank gebührt Jürgen Plieninger für den Hinweis auf diese Volte. (9) Elsevier erwirtschaftet seit Jahren regelmäßig Gewinne von zwischen 30 und 40 Prozent, im Jahr 2016 beliefen sich die Einnahmen auf 2,478 Milliarden £, der bereinigte operative Gewinn 0,913 Milliarden £ oder 36,8 Prozent (RELX Group, 2018, S. 17). (10) RELX erwarb übrigens im Januar 2018 den Dienst Threatmetrix, dessen Spezialität die Analyse von Verbindungen zwischen Geräten, von Standorten und von anonymisierten Identitätsinformationen ist (Lunden, 2018). (11) Wobei diese dirigistische Komponente der betriebswirtschaftlichen implizit zuwiderläuft. (12) Die Partnervermittlung ElitePartner trägt bereits einen passenden Namen und könnte womöglich Dienstleistungen der Beziehungs-/Kooperationsanbahnung für Hochschulen anbieten. Bendel, O. (2018). Big Data. In Gablers Wirtschaftslexikon. Springer Gabler. Elsevier. (2017a). Bepress and Elsevier – an update. Elsevier. (2017b). Elsevier acquires bepress, a leading service provider used by academic institutions to showcase their research. Elsevier. (2018a). Elsevier | An Information Analytics Business | Empowering Knowledge. https://www.elsevier.com/ [27.2.2018]. Elsevier. (2018b). Hivebench | Electronic Laboratory Notebook (ELN) designed for biology research workflows. Elsevier. (2018c). Information analytics: Uniting content and technology to serve the science, technology and health communities. Elsevier. (2018d). Newsflo | Measures an academic’s societal impact. Elsevier. (2018e). Research Intelligence | Reliable Data and Information | Elsevier. https://www.elsevier.com/research-intelligence [27.2.2018]. Elsevier. (2018g). Topic Prominence in Science. European Commission. (2016). Open innovation, open science, open to the world – a vision for Europe. Haider, J. (2018). Openness as Tool for Acceleration and Measurement: Reflections on Problem Representations Underpinning Open Access and Open Science. In U. Herb & J. Schöpfel (Hrsg. ),Open Divide? Critical Studies on Open Access (S. 17–30). Sacramento, USA: Litwin Books. https://lup.lub.lu.se/search/publication/070c067e-5675-455e-a4b2-81f82b6c75a7 [27.2.2018]. Herb, U. (2015). Open Science in der Soziologie: Eine interdisziplinäre Bestandsaufnahme zur offenen Wissenschaft und eine Untersuchung ihrer Verbreitung in der Soziologie. Glückstadt, Germany: Verlag Werner Hülsbusch. Herb, U. (2016). Altmetrics zwischen Revolution und Dienstleistung: Eine methodische und konzeptionelle Kritik. In H. Staubmann (Hrsg. ), Soziologie in Österreich – Internationale Verflechtungen. Kongresspublikation der Österreichischen Gesellschaft für Soziologie (S. 387–410). Österreichische Gesellschaft für Soziologie ÖGS. Outsell. (2015). 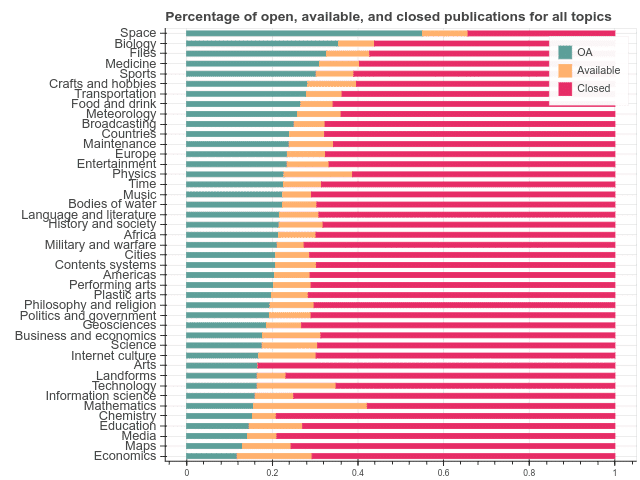 Open Access 2015: Market Size, Share, Forecast, and Trends. Plum Analytics. (2016). PlumX +Grants. PLUM Analytics. (2018). About Artifacts – Plum Analytics. RELX Group. (2018). Annual Reports and Financial Statements 2017. Springer Nature. (2018). SciGraph | For Researchers. The Association of Universities in the Netherlands (VSNU) has announced a Green Open Access Deal with Wolters Kluwer: “The parties have agreed that academic articles from these 27 journals will be eligible for publishing in the public domain 6 to 12months after the date of their publication on Navigator and Wolters Kluwer’s other platforms.” The agreement covers 27 law journals. More details are not disclosed, e.g. whether it is necessary that the corresponding author comes from the Netherlands for this clause to apply or whether it is sufficient that any one of many contributing authors comes from the Netherlands. This agreement is surprising inasmuch as Open Access deals (especially in the Netherlands) were primarily focused on linking subscriptions with direct Gold Open Access. One possible explanation for the change of strategy is given by the VSNU itself. The statement quotes Anton Pijpers, negotiator on behalf of the VSNU and President of the Executive Board of Utrecht University, as follows: “While we believe in the sustainability of gold open access, this is not always achievable yet. In such cases, green open access is the first step in the right direction”. As The Verge reports Microsoft acquires GitHub. According to The Verge GitHub was “last valued at $2 billion back in 2015, but it’s not clear exactly how much Microsoft has paid to acquire GitHub.” The Verge also considers the purchase as a promotion of Microsoft’s open source strategy and suspects the acquisition could meet mistrust in the open source scene. The open-science community is also affected, as GitHub is also used to manage research software. Die Cookie-Einstellungen auf dieser Website sind auf "Cookies zulassen" eingestellt, um das beste Surferlebnis zu ermöglichen. Wenn du diese Website ohne Änderung der Cookie-Einstellungen verwendest oder auf "Akzeptieren" klickst, erklärst du sich damit einverstanden. The cookie settings on this website are set to "Allow cookies" for the best browsing experience. If you use this website without changing the cookie settings or click "Accept", you agree to this.